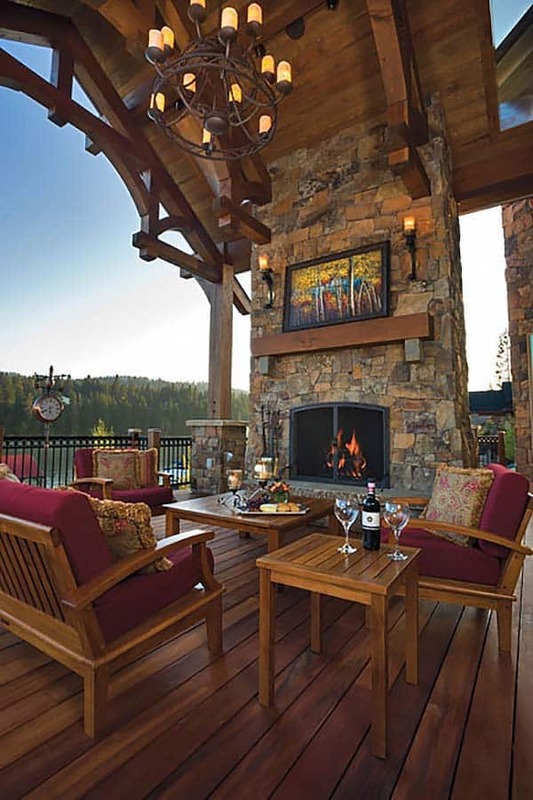 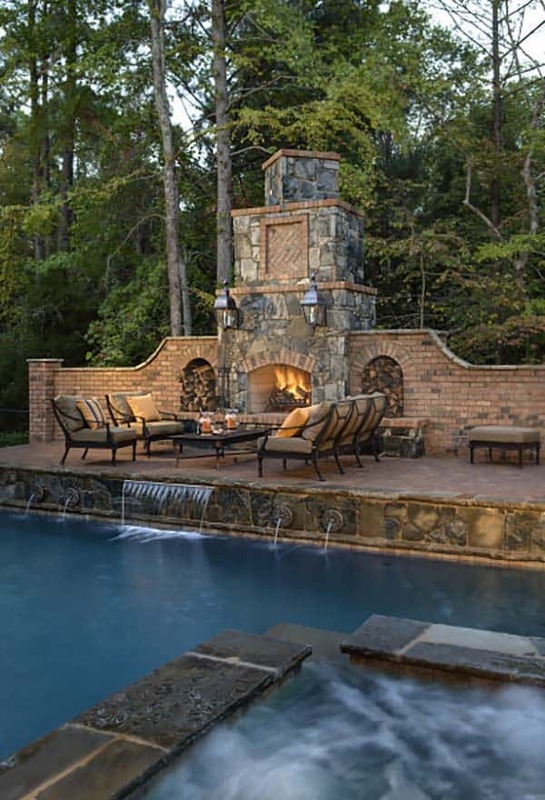 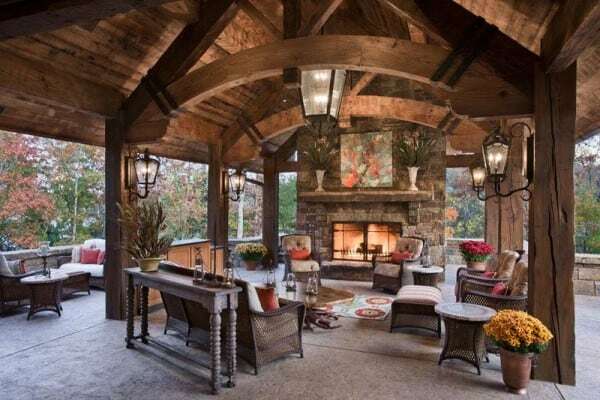 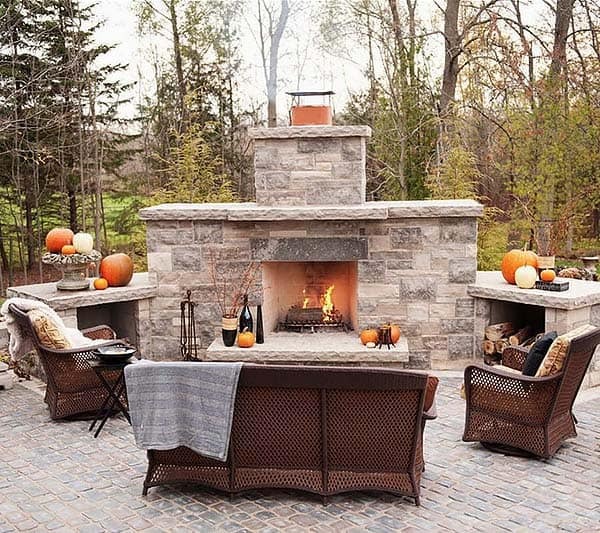 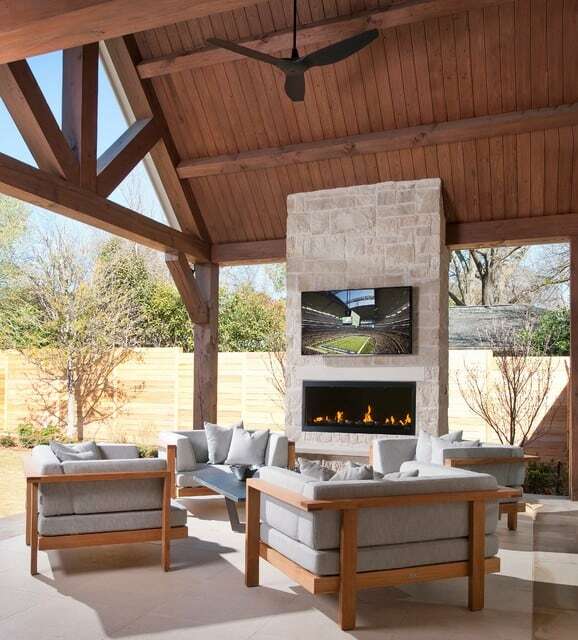 Having an outdoor fireplace on your deck, patio or backyard living room instantly makes it a perfect place for entertaining and creates a dramatic focal point. 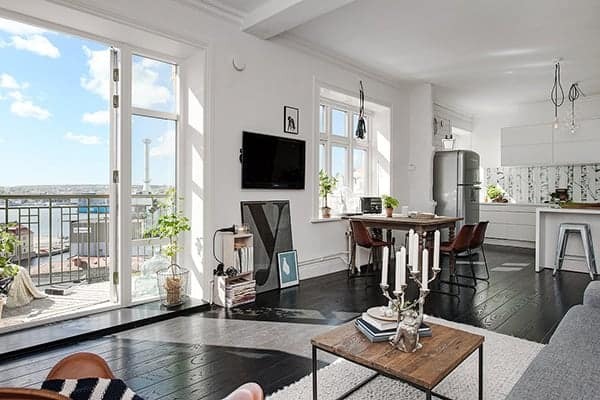 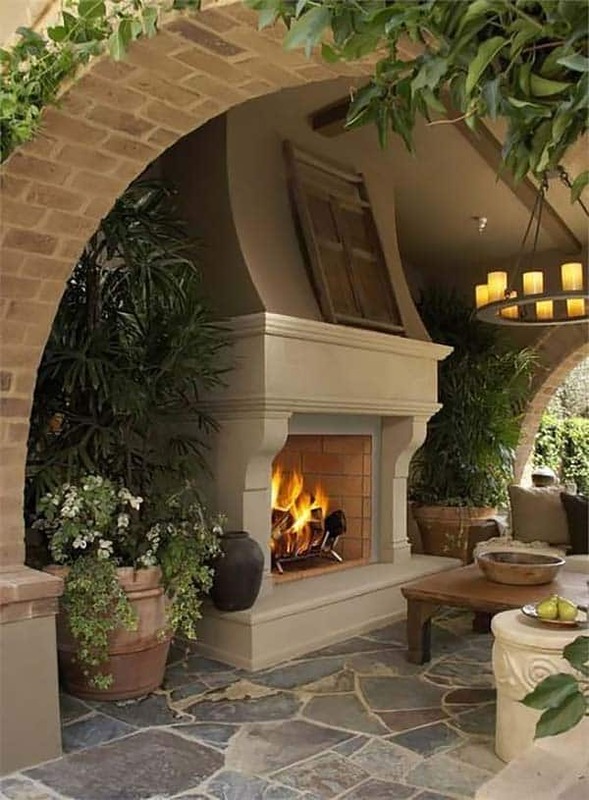 Fireplaces are not only stylish but very functional and can add great value to your property. 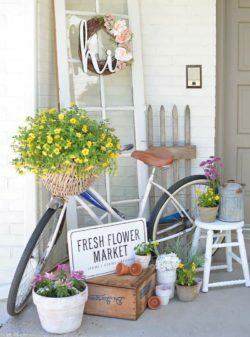 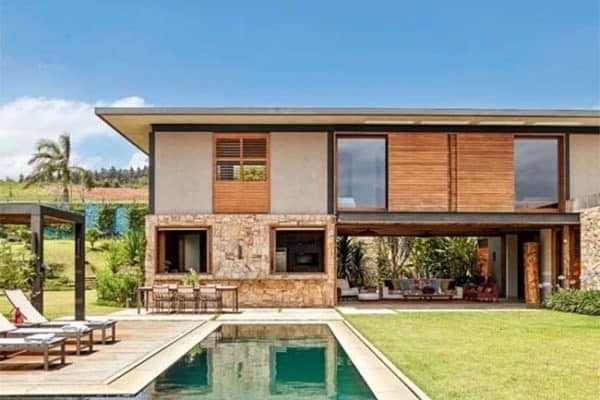 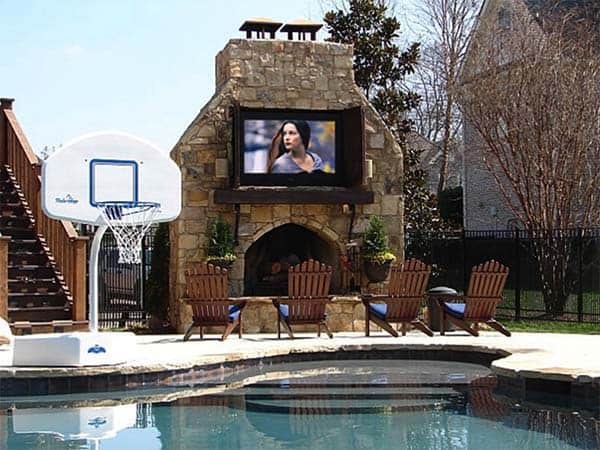 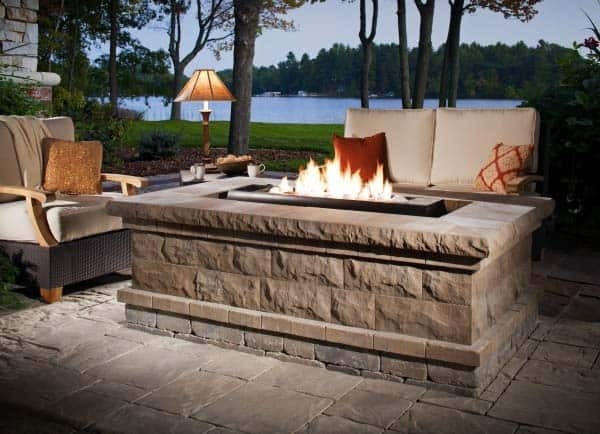 They also make a wonderful feature for those who enjoy spending their leisure time with friends and family in their outdoor living space. 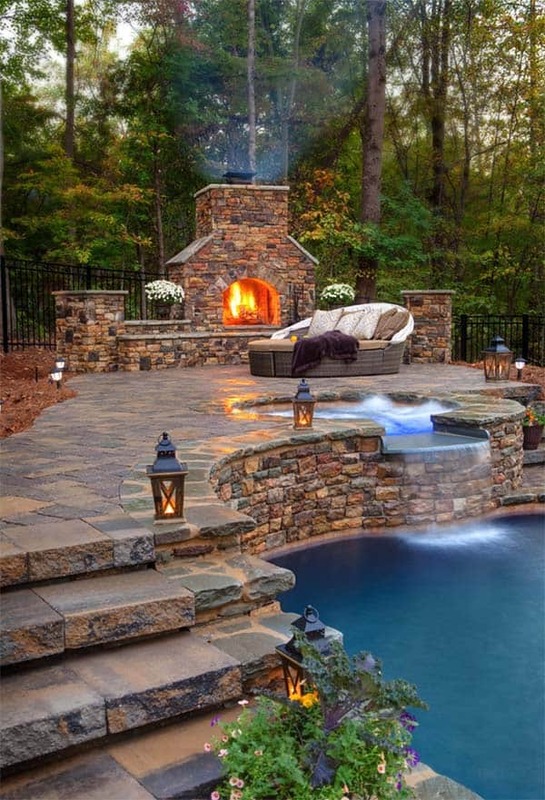 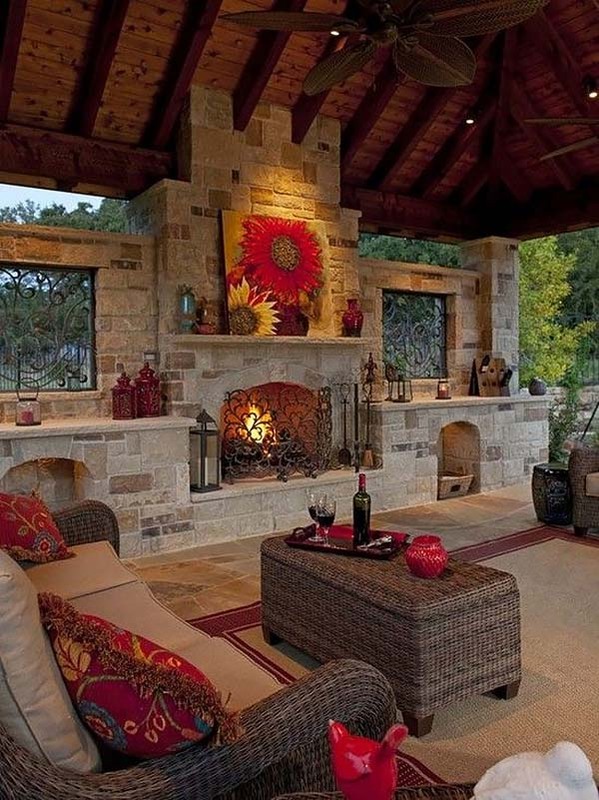 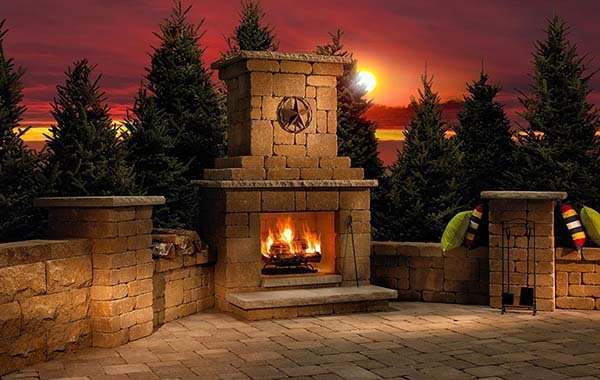 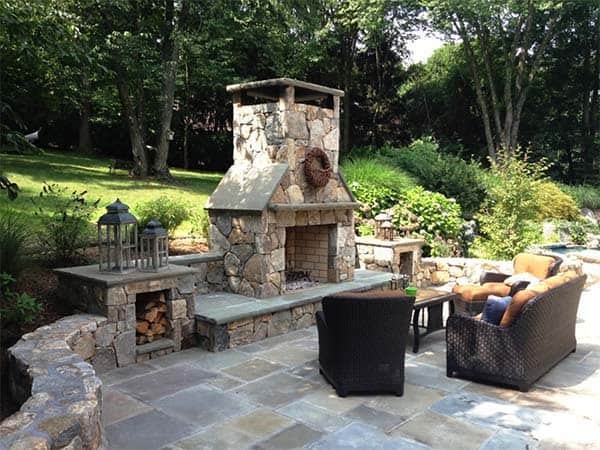 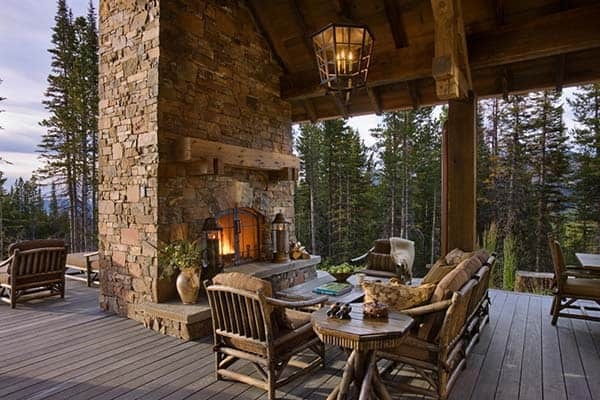 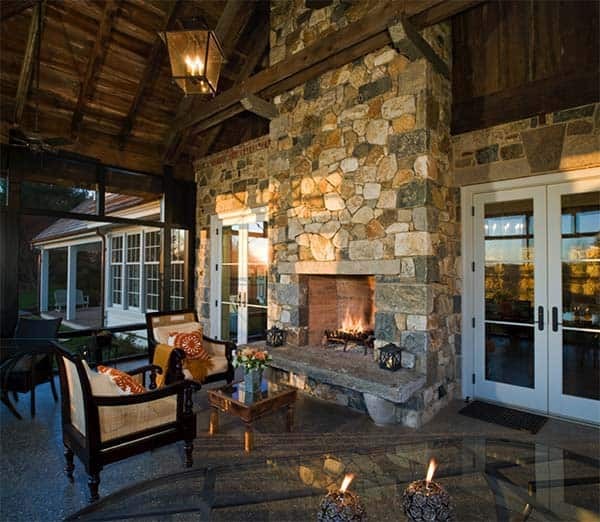 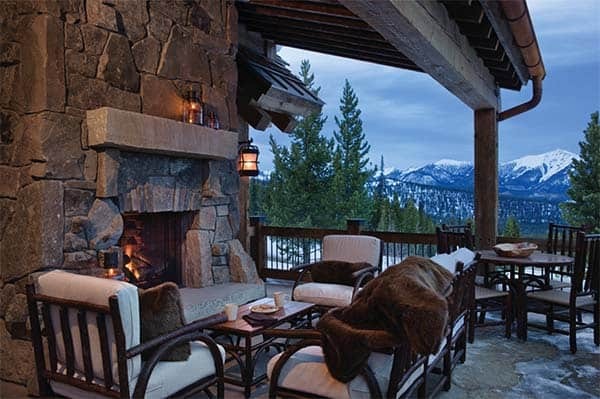 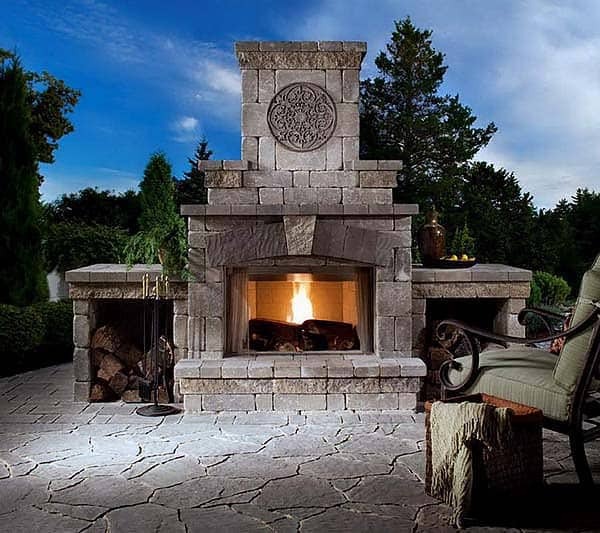 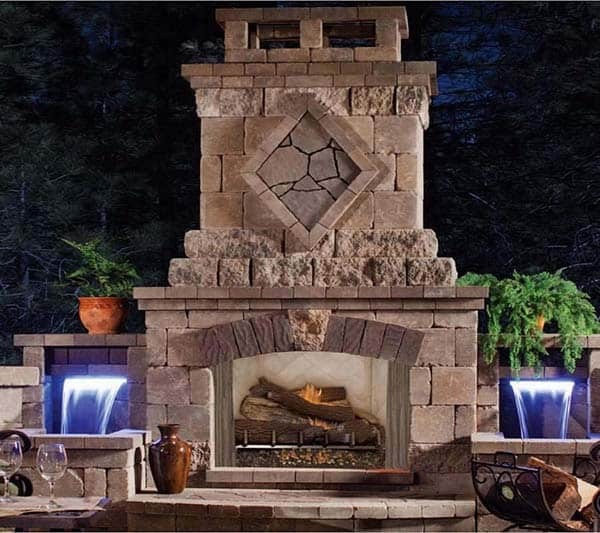 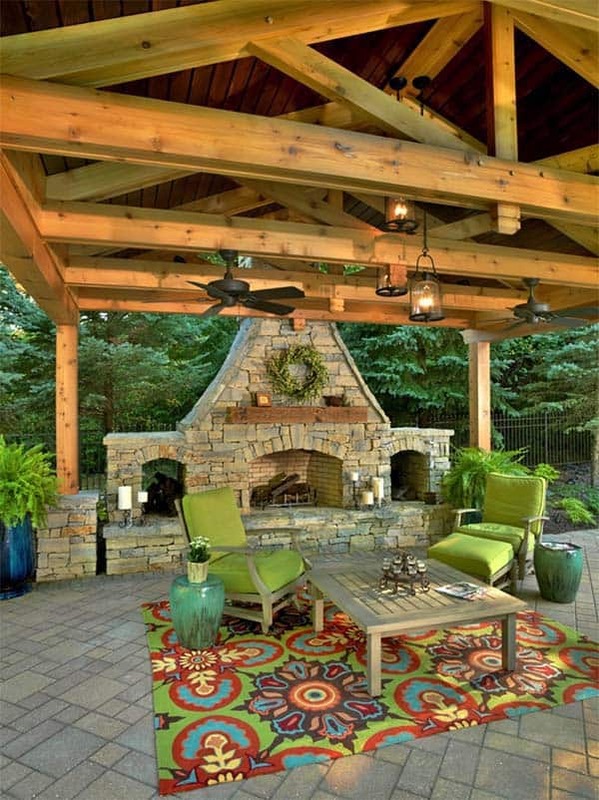 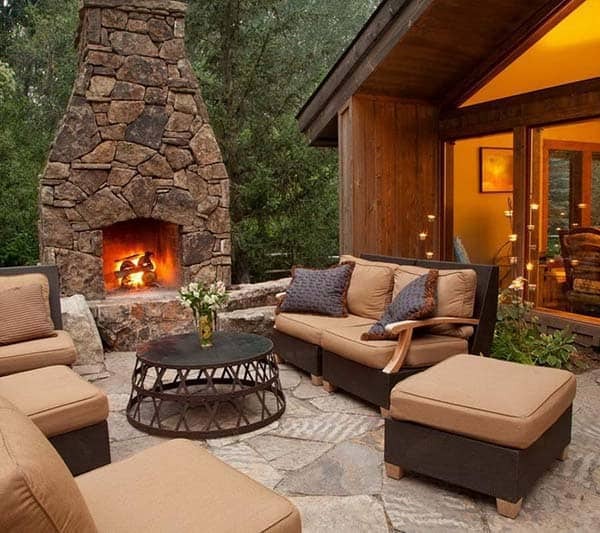 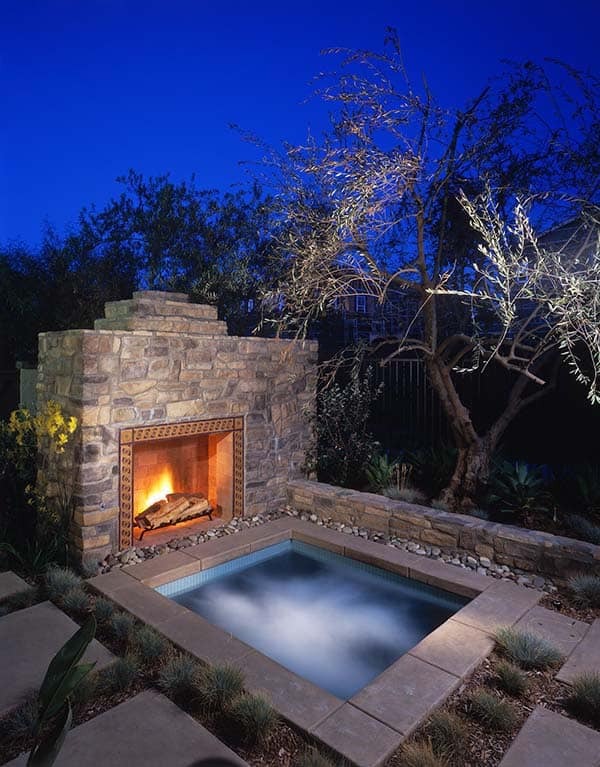 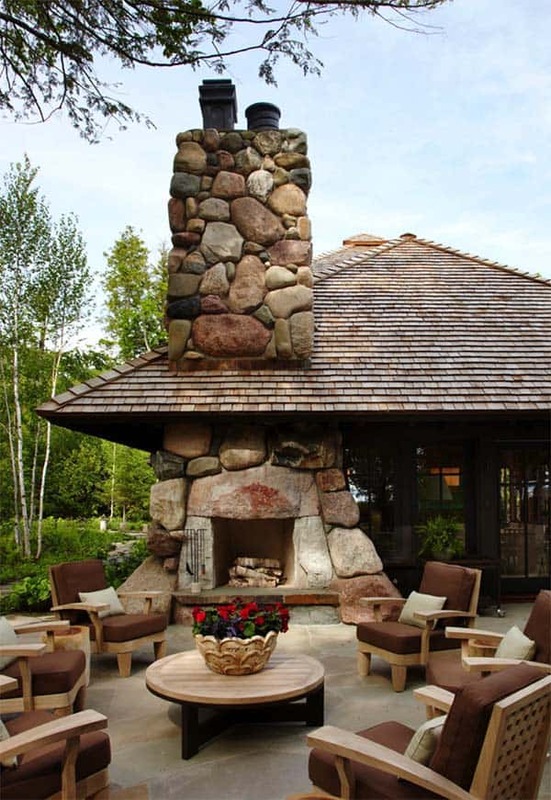 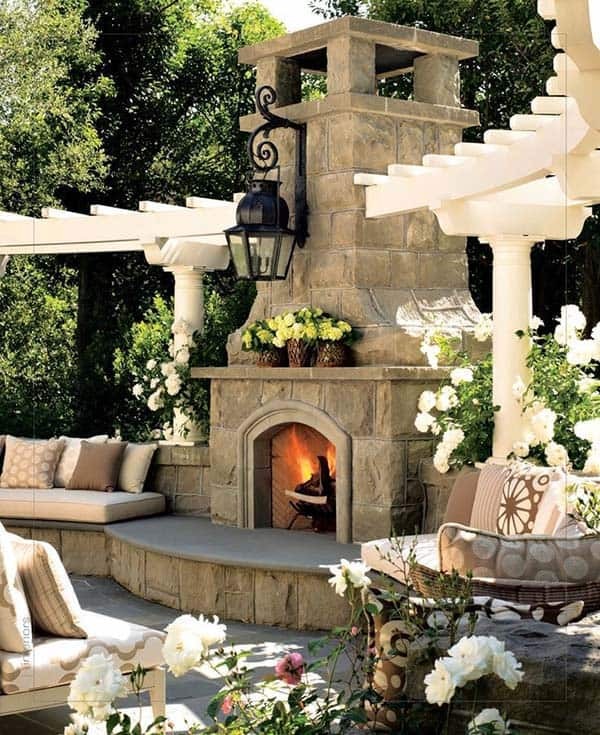 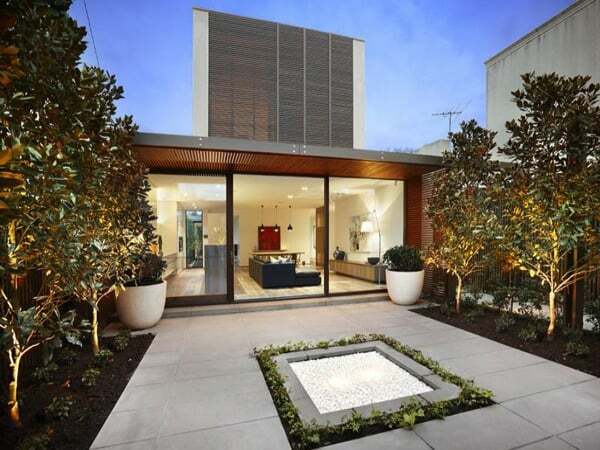 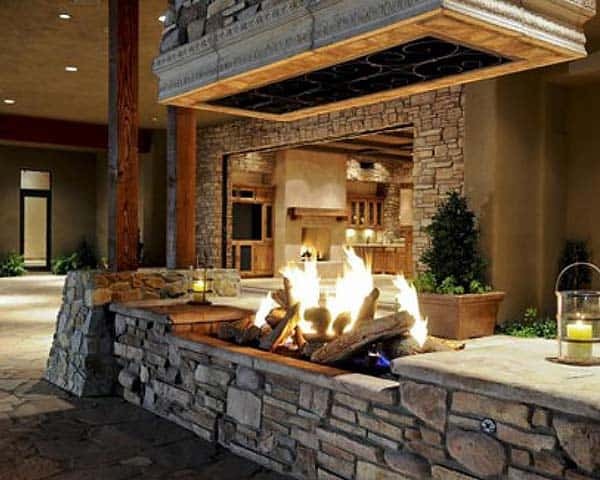 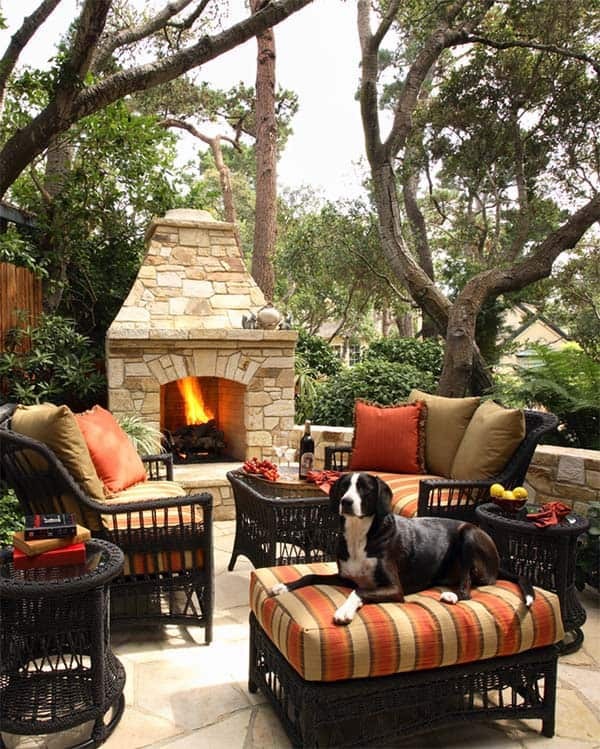 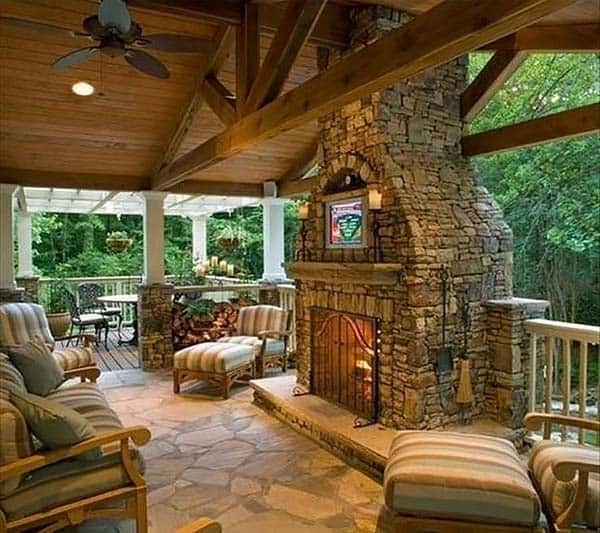 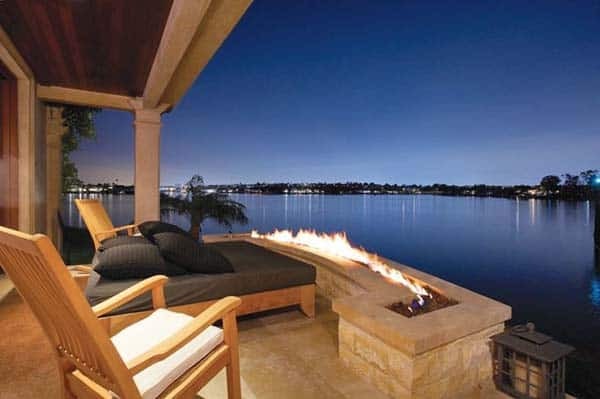 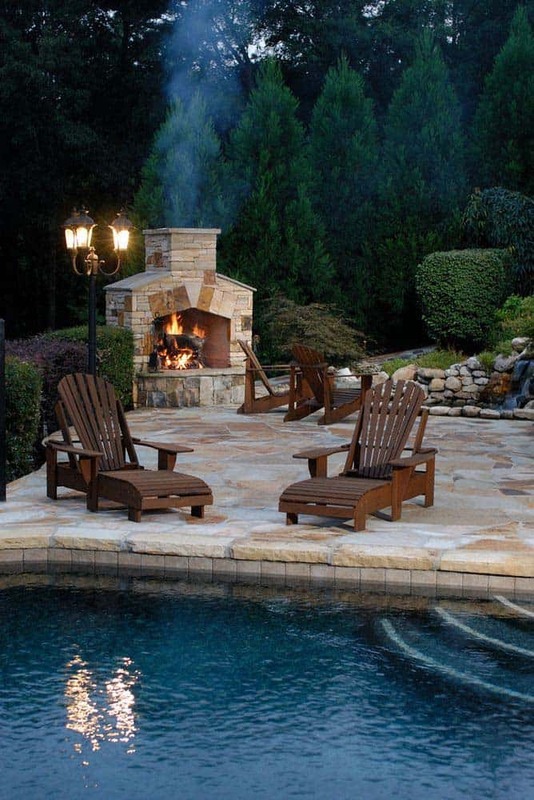 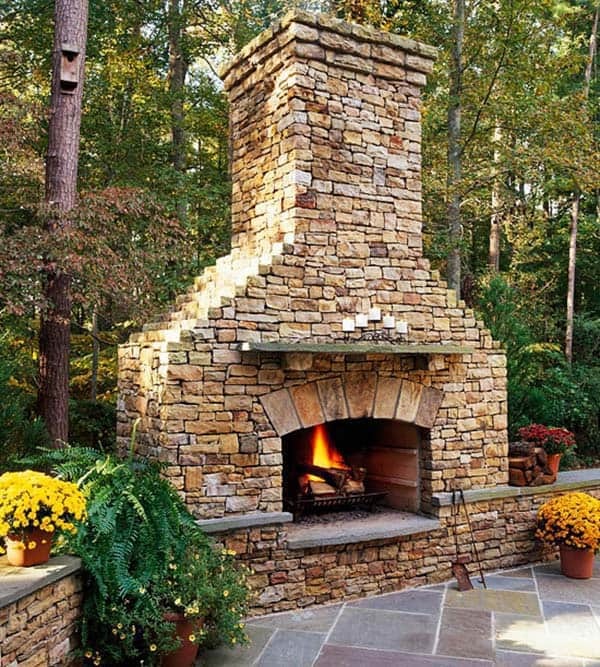 Browse pictures below of outdoor fireplace designs for decorating ideas and inspiration. 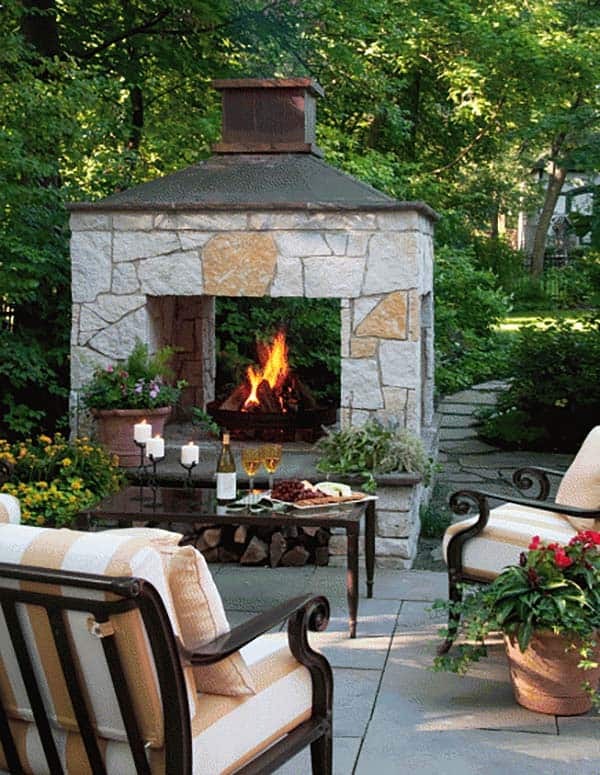 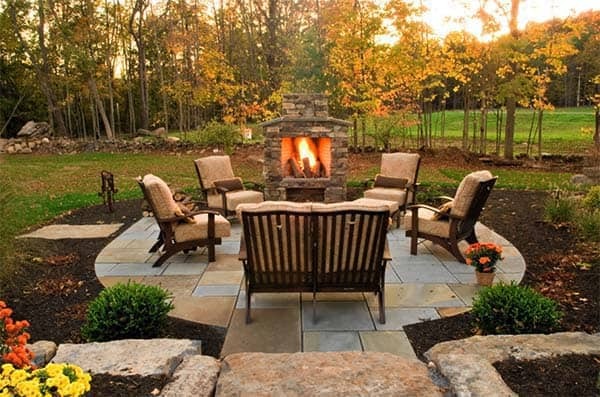 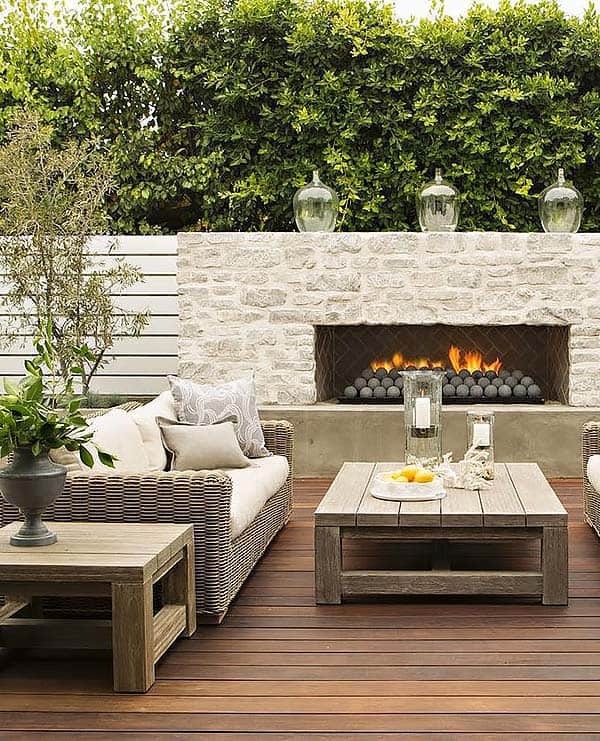 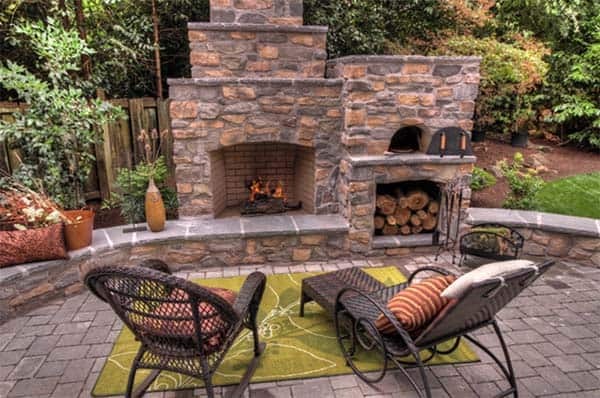 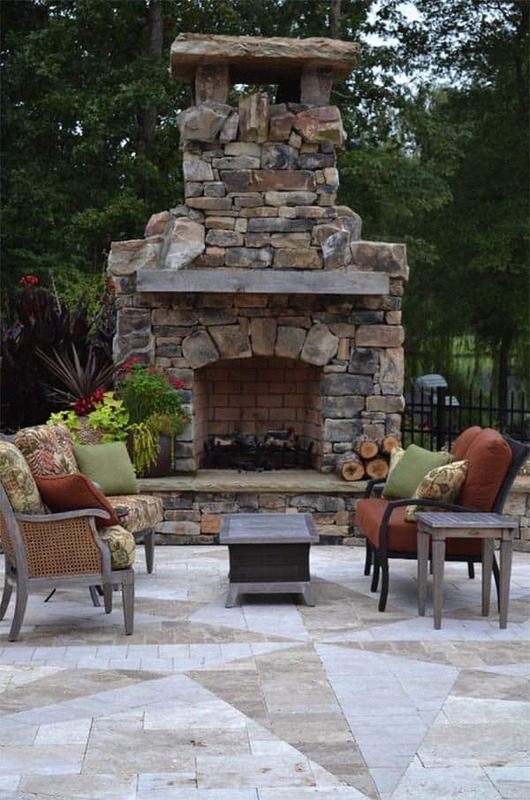 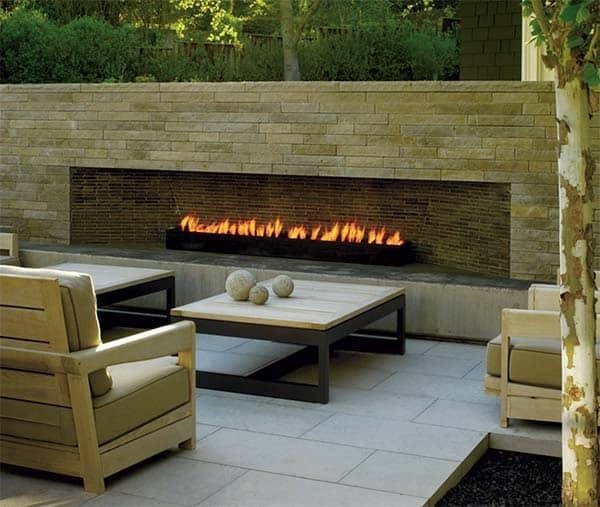 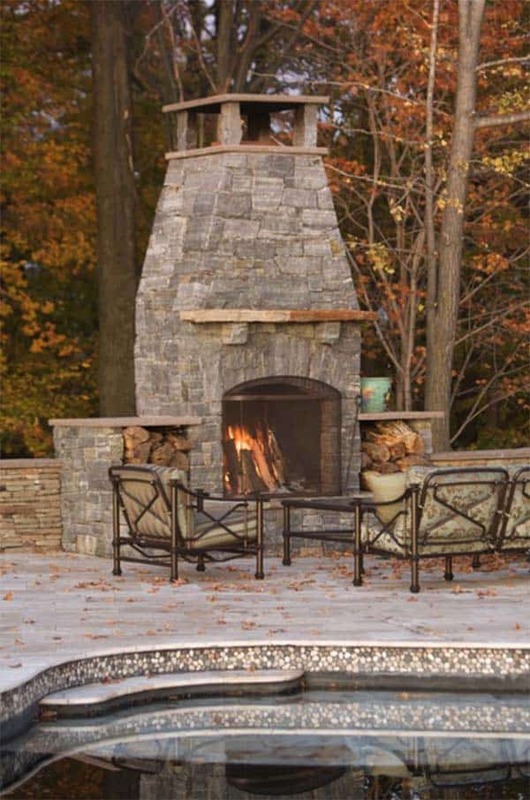 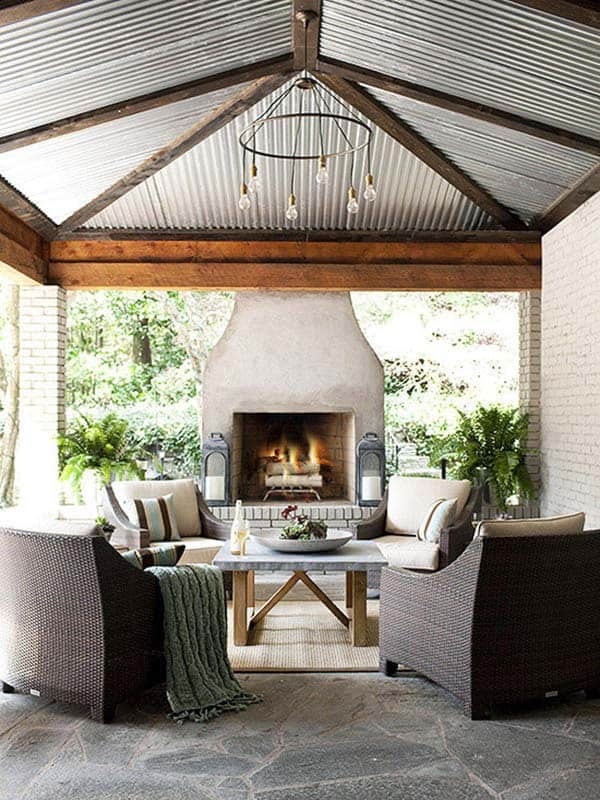 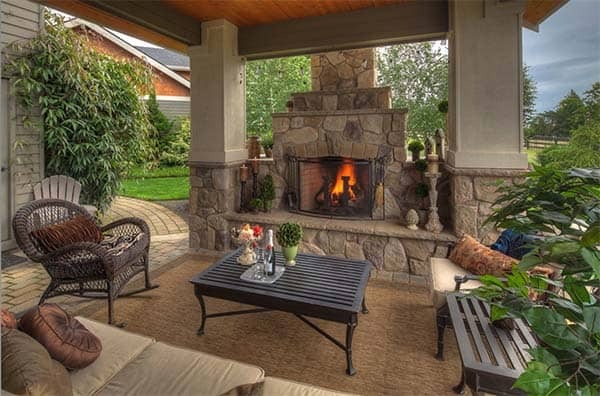 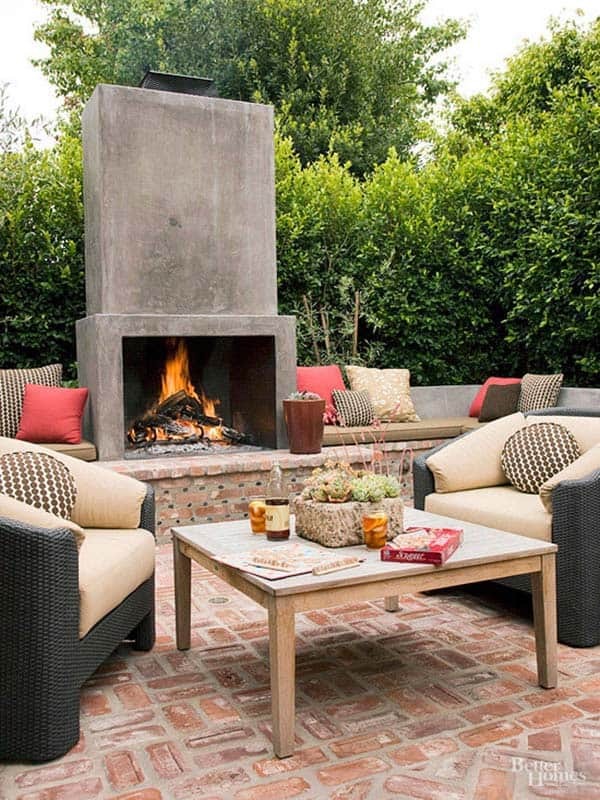 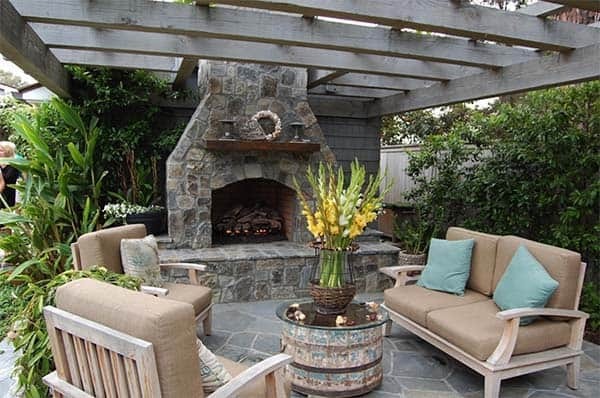 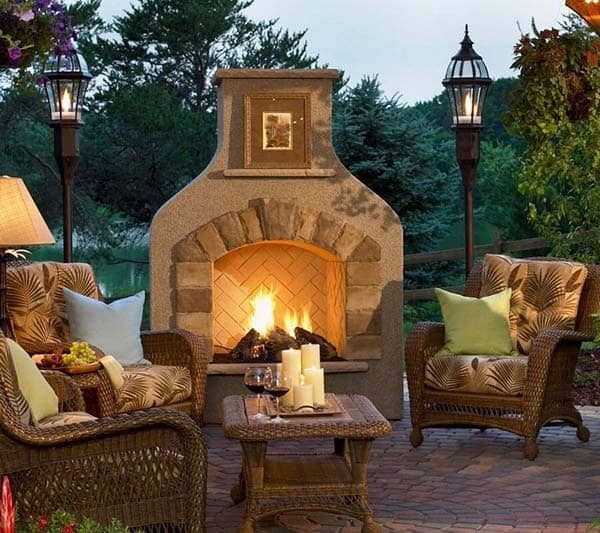 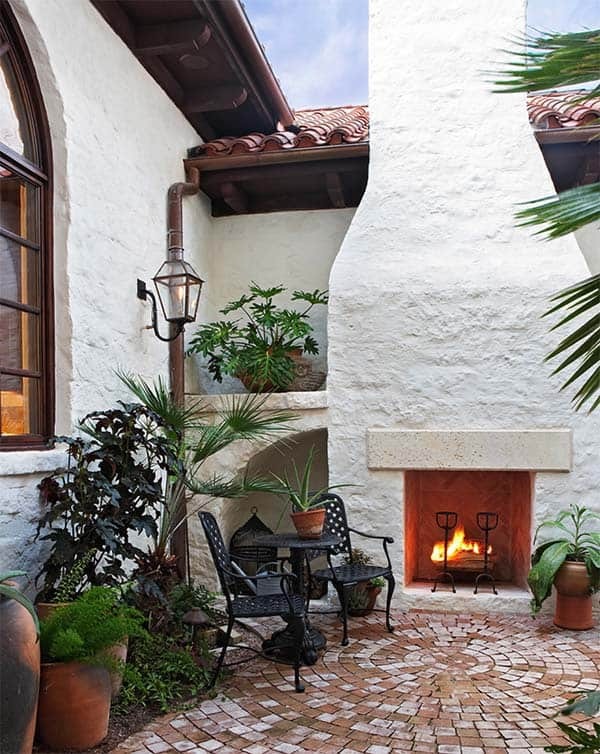 Add warmth and ambience to your outdoor room with a fireplace. 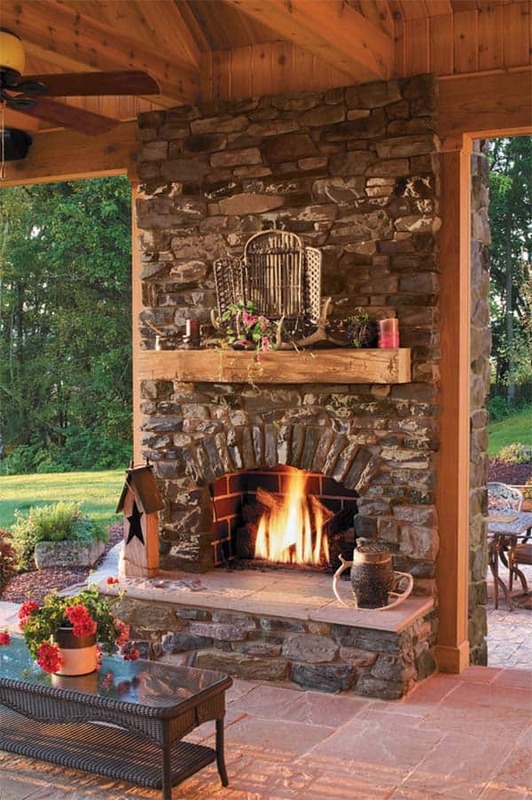 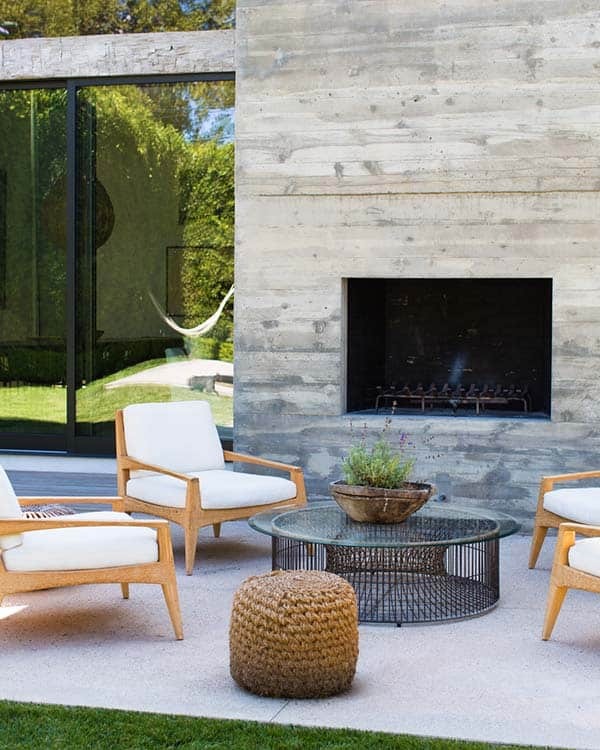 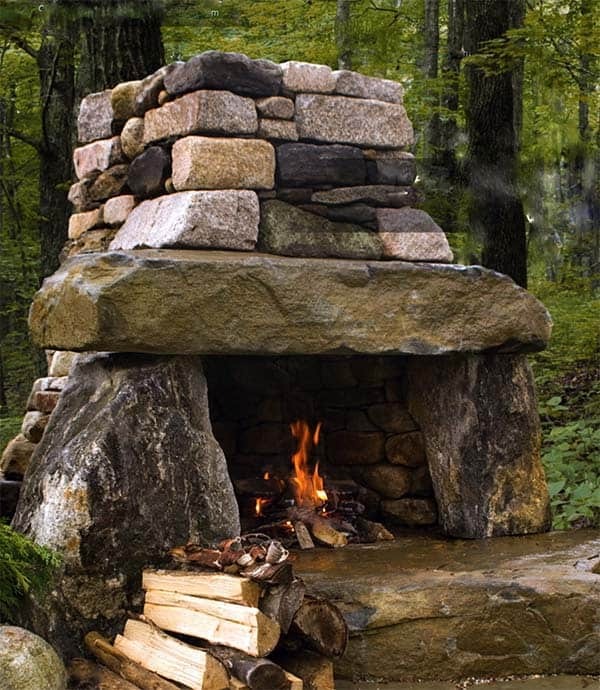 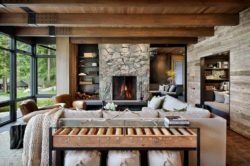 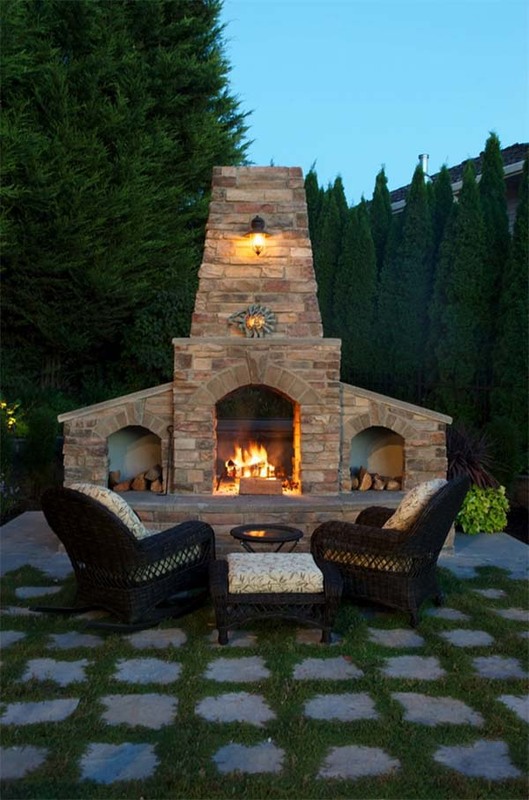 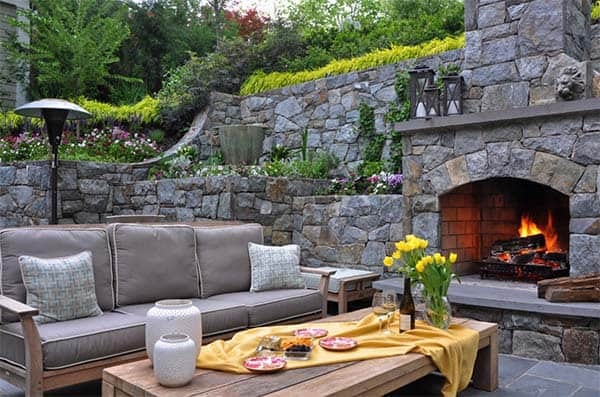 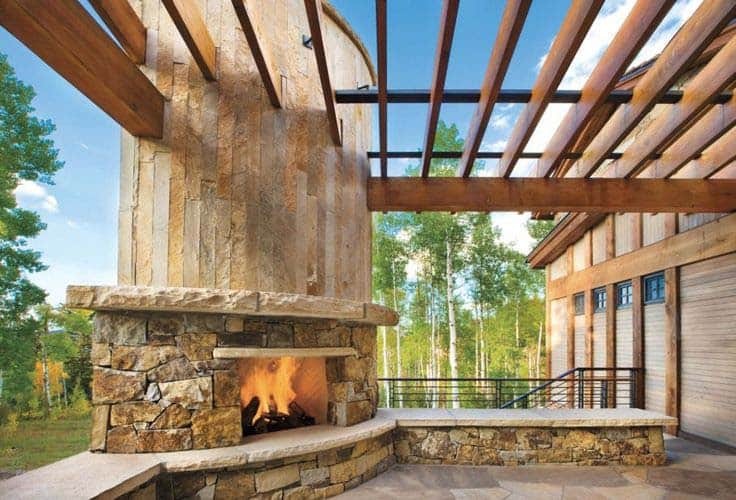 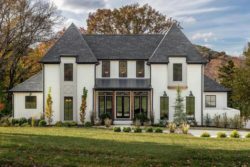 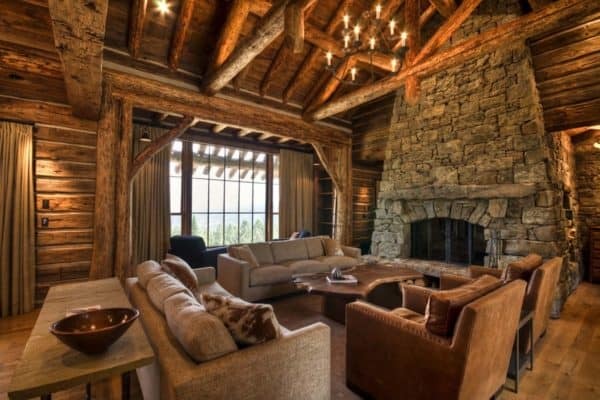 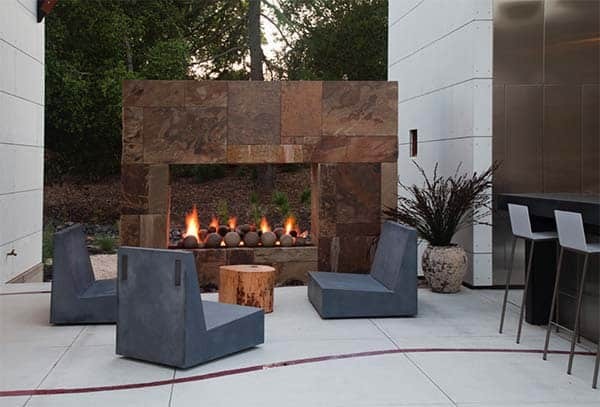 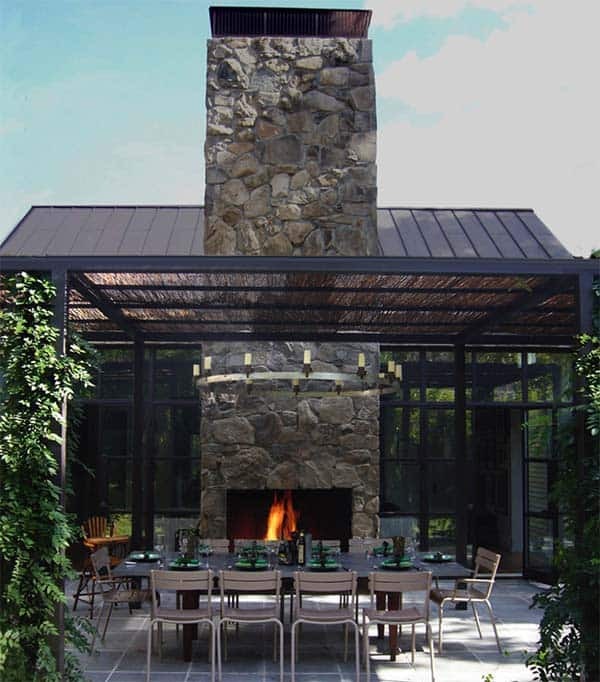 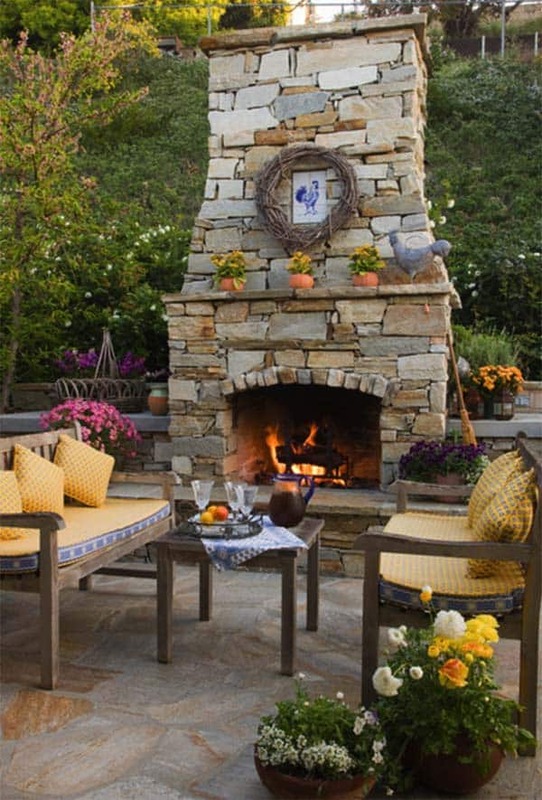 From fancy to rustic, find an outdoor fireplace design to suit your home’s architecture and your living style. 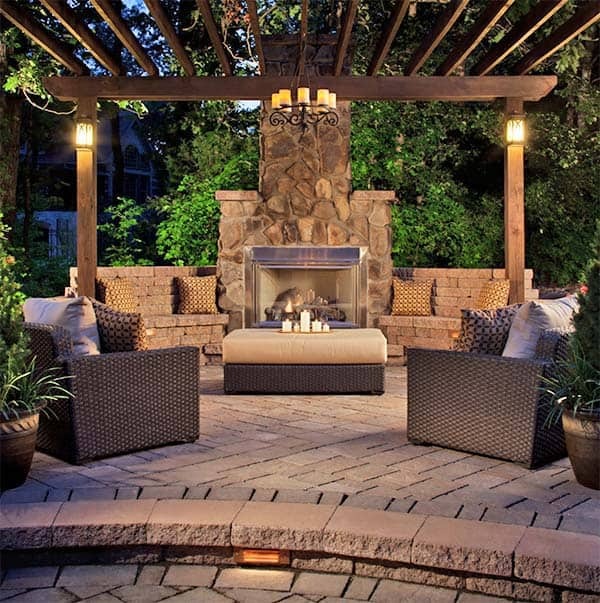 If you are still looking for some ideas for outdoor inspiration, have a look at some of our past articles on, 52 Spectacular outdoor string lights to illuminate your patio and 31 Inspiring and stylish outdoor room design ideas.